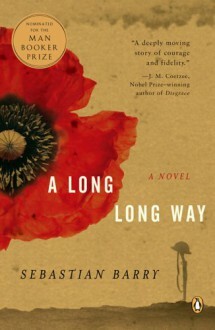 Praised as a “master storyteller” (The Wall Street Journal) and hailed for his “flawless use of language” (Boston Herald), Irish author and playwright Sebastian Barry has created a powerful new novel about divided loyalties and the realities of war. In 1914, Willie Dunne, barely eighteen years old, leaves behind Dublin, his family, and the girl he plans to marry in order to enlist in the Allied forces and face the Germans on the Western Front. Once there, he encounters a horror of violence and gore he could not have imagined and sustains his spirit with only the words on the pages from home and the camaraderie of the mud-covered Irish boys who fight and die by his side. Dimly aware of the political tensions that have grown in Ireland in his absence, Willie returns on leave to find a world split and ravaged by forces closer to home. Despite the comfort he finds with his family, he knows he must rejoin his regiment and fight until the end. With grace and power, Sebastian Barry vividly renders Willie’s personal struggle as well as the overwhelming consequences of war.